With Microsoft actively selling the perks of jumping onto the Windows 10 bandwagon, it was inevitable that features we had become accustomed to till now will be forgotten to move onto something supposedly better, according to the software giant. We’ve seen all that Windows 10 has to offer, now here are 7 features that will be missing from the company’s latest desktop OS, which were part and parcel of Windows 7 and 8. Microsoft had made it abundantly clear that its new OS will be opting out of the whole Windows Media Center deal. For some users, this feature has literally been a key factor when choosing their version of Windows 7 or 8, but the software giant believes it’s time it was scrapped. 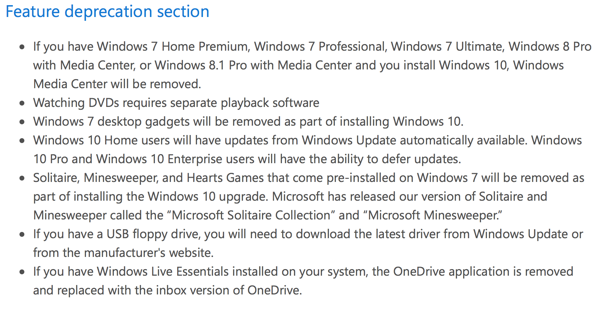 All users on Windows 7 Home Premium, Windows 7 Professional, Windows 7 Ultimate, Windows 8 Pro with Media Center, or Windows 8.1 Pro with Media Center will no longer have access to Media Center if and when they choose to upgrade to Windows 10. Native support for playing DVD via the Windows Media Player has been pulled back in Windows 10, and Microsoft will let third-party apps worry about playing such content. Not really a surprising move given how the Media Center was scrapped, but then again how many of us ever used WMP for playing DVDs? There are plenty of good alternatives out there such as VLC Media Player and Media Player Classic. Introduced in Windows Vista, the desktop gadgets were more of an eye-candy than being truly purposeful aside from maybe a few, but that’s a personal opinion. Microsoft has pulled the plug on them for good, and users can download third-party apps that can put desktop gadgets or widgets back in Windows 10. This one’s a bummer for sure, and is designed to make you feel like you have the cheapest Windows 10 version around, which you do actually. 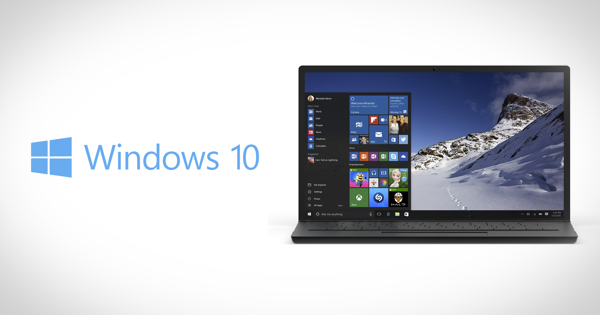 Windows 10 Home is the basegrade version, and if you happen to upgrade to one, it is feared that you may no longer have a say in whether you want to receive and install those updates Microsoft incessantly pushes out for Windows. Pro and Enterprise users on the other hand will be able to defer the updates when needed. The good ol’ classics you may have set your heart on in Windows 7, will be replaced by titles such as ‘Microsoft Solitaire Collection’ and ‘Microsoft Minesweeper’. It’s 2015 you know, and you can’t really blame Microsoft for not supporting a floppy drive right out of the box here. If you still happen to have a USB floppy drive, you will need to install the drivers from the manufacturer’s website, or give it a spin via Windows Update. The loss of support for the features mentioned above is not exactly going to be a deal breaker for most of the users, especially given how an upgrade will be totally free of cost starting the 29th of July. That’s ok. I like MAC OS X version. Thank you, Microsoft but no thanks! So essentially you lose nothing. No opting out of updates? How about limited wifi? With 20gb per month, people are going to be pissed, expecily if it fails twice first!